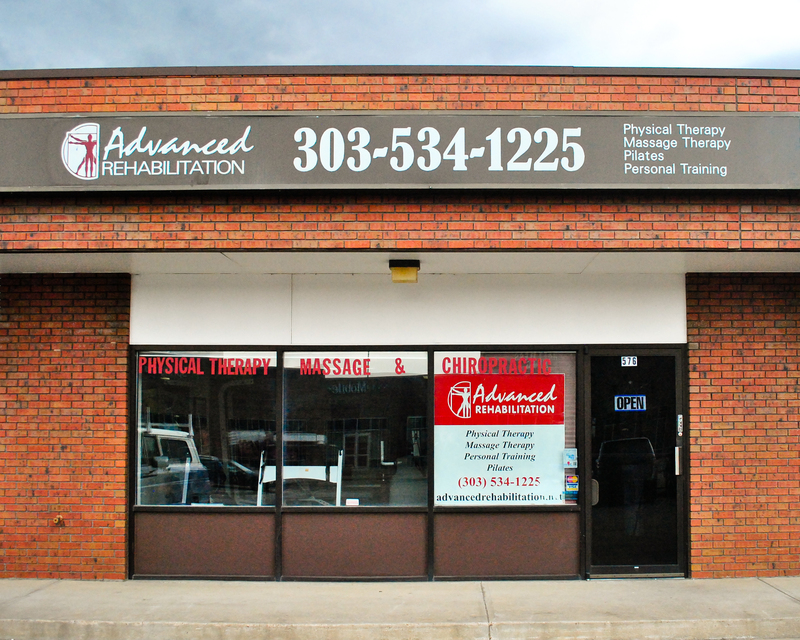 Advanced Rehabilitation is your one stop facility for Denver physical therapy, massage therapy, and personal training services. You will enjoy prompt professional service and a relaxing atmosphere at our centrally located office. At Advanced Rehabilitation we accept most insurance plans and offer significant discounts to help our self pay clients with high deductibles or no insurance. We take cash, Visa/MC and personal checks for payment at the time of service and also accept medical liens from patients injured in auto accidents. If you are searching for pain relief, rehabilitation or fitness enhancement in the Denver area, Advanced Rehabilitation is your one stop location. We offer high quality, personalized service with our friendly and knowledgeable staff of physical therapists, massage therapists and personal trainers.